Not too long ago, probably the worst thing that could befall someone is Spain was being called a mileurista (mil euros is Spanish for “one thousand euros”). Mileuristas were young people, aged around 30 on average, earning €1,000 a month at most – hardly enough to make a decent living – without any bonuses and without any right to complain. Paradoxically, they were probably among the best-educated generations in the country’s history. As if it was not enough, a series of events that followed in the years to come slowed the Spanish economy down even further, sending the unemployment rate upward until it hit a staggering 27% in the first quarter of 2013; suddenly, being a mileurista, or even having any job at all, didn’t sound that bad. Things have since improved, at least when it comes to the unemployment rate – sitting just above 14.5%, it is currently in a downtrend, heading towards its 10-year minimum. The real figures might be much lower, as millions are estimated to be working in the grey market. Monthly salaries are a whole different story, however. If the budget plan for the next year is adopted, the minimum monthly salary could be increased from current 736 EUR to around 900 EUR, which would undoubtedly be an improvement, but still just enough to cover household expenses. In 2017, the Gross Domestic Product (GDP) in Spain was worth around $1.300 billion, representing 2.12% of the world economy. The 2018 forecasts predict a 9% growth in value ($1.420 billion at the end of Q4) while at its peak, in 2008, Spain’s GDP reached $1.635 billion – again, paradoxically, coinciding with the period of mileuristas and their, virtually capped, low salaries. Further forecasts predict a somewhat decelerated growth in a two-year period, with values peaking around 6% lower than ATHs. Situated in the southeast part of the country, Catalonia is the most popular choice among tourists in Spain and one of the most developed tourist regions in the entire world, offering sights such as the city of Barcelona, the beaches of the Costa Brava, Costa del Maresme and Costa del Garraf. Catalonia also offers several ski resorts, situated near Lleida, in the High Pyrenees. The Catalans take tourism very seriously – as of 2012, Catalonia is charging tourist tax, which is used not only to promote tourism further but also to maintain and upgrade the underlying infrastructure. Last December, however, things took a turn for the worse, as tourist arrivals in Catalonia saw a dramatic 13.9% year-on-year drop – only a couple of months after Spain broke its tourism record with 81.8 million visitors, making it the second-most popular tourist destination in the world. Despite the crisis, Catalonia continued to lead Spain’s tourism in both the number of tourists and tourist spending (a total of $21.7 billion in 2017). 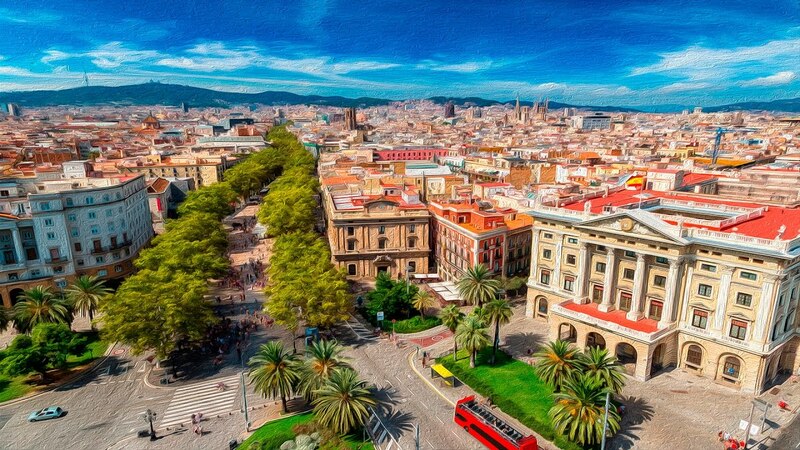 A highly industrialized community with developed training economics, Catalonia has been integrated into various road and travel networks since the Middle Ages, topography being such that most lines radiate to and from Barcelona. The port of Barcelona, currently the third container port in Spain, is an important industrial, but also a worldwide commercial and tourist port. The land road infrastructure is extensive, with more than 12,000 kilometers of roads. Catalonia was also the birthplace of the first railway construction in the Iberian Peninsula, linking Barcelona with Mataró, and is currently the link between Spain’s High-speed rail (AVE) and France’s TGV network on the other side, offering an uninterrupted high-speed network stretching from Madrid to Marseille. 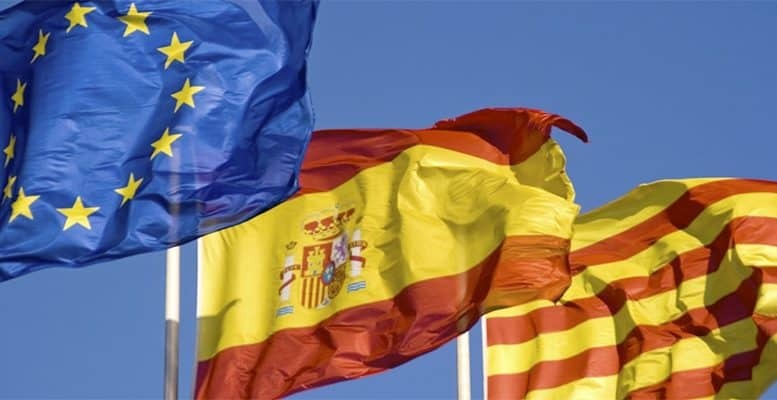 While the development of GDP in Spain was closely linked to the average change of GDP in the Eurozone, having its ups and downs in the last 15 years and experiencing an overall growth of around 44%, GDP of Catalonia has experienced a growth of 50 percent during that time, reaching $252 billion at the end of 2017. GDP of Catalonia makes up roughly one-fifth of Spain’s GDP, fluctuating only marginally in percentage over the last ten years, and is usually the highest among autonomous communities. Catalonia is traditionally considered the engine which drives the culture and the economy of Spain forward, being highly industrialized and offering attractive tourist destinations at the same time. 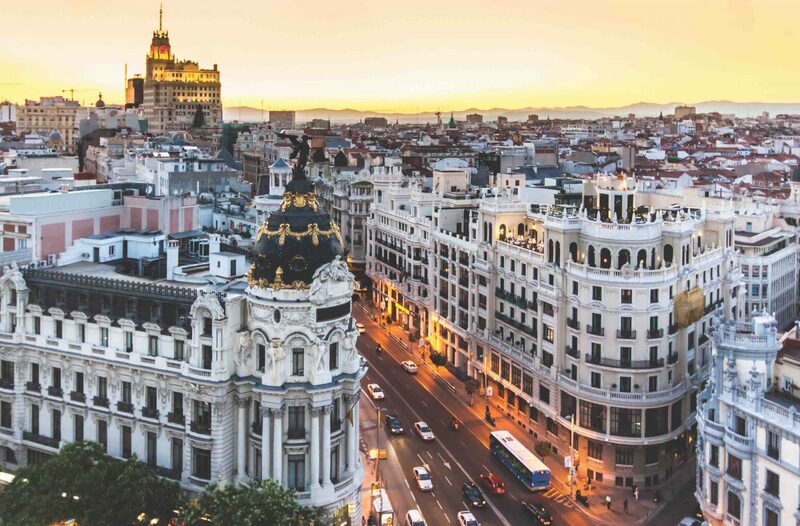 Dominated by the country’s capital, Madrid, the Autonomous Community of Madrid’s active businesses, including construction, transportation, retail and wholesale trade, hospitality and property activities, stand in the third place in Spain, with levels of industry ranked fourth in Spain. High and medium technology activities and services, such as research and development and IT activities, manufacture of IT and telco equipment, office machines and electronic products, radio equipment and devices, medical and surgical as well as optical and timekeeping equipment, are concentrated in this province. The city of Madrid, serving as a hub for flights between Europe and Latin America, is the primary generator of tourism incomes. Being a mature market and an established destination, further focuses on promoting the city’s tourism product have helped drive growth in recent years. Several million people visit the city every year, and nearly 10 million did so in 2016 – higher than in any previous year this century – impressive numbers split evenly between domestic and international arrivals. On average, foreign visitors spend more and account for around 65% of the city’s tourism revenue. Generating 85,400 jobs directly supported by travel and tourism, the sector provides 2.7% of the city’s employment. Despite a slight drop in the number of direct tourist-related jobs in the last decade, an average 1.4% annual growth over the next ten years is expected in terms of employment. Tourism’s share of Madrid’s overall GDP is relatively low (2.8%) in comparison to the entire sector’s 5.1% of national GDP. Madrid’s contribution to Spain’s overall tourism GDP is 10.6%, which is a significant figure. It is lower than many other capital cities, but this comes expected, as a result of the diversity of Spain’s overall tourism product. Lagging 1,5% behind Catalonia, at $248.5 billion, but also with the highest income per capita in Spain, at 37,940 USD, is the autonomous community of Madrid, whose commercial productive structure heavily relies on prominent industry, service, and construction sectors.